The adaptation is a dazzling spectacle that can’t quite bring the plot to life. Through 2/24: Fri 7:30 PM, Sat 2 and 7:30 PM, Sun 2 PM; also Thu 2/21, 7:30 PM, Auditorium Theatre, 50 E. Ida B. 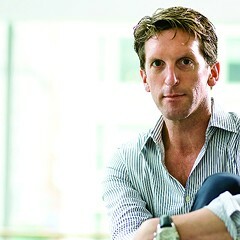 Wells, 312-386-8905, joffrey.org, $35-$199. The Joffrey unveiled its new Anna Karenina this weekend before packed houses at the Auditorium Theatre. 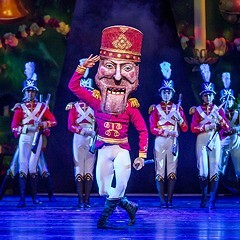 The product of an international team of luminaries, including choreographer Yuri Possokhov, set and costume designer Tom Pye, lighting designer David Finn, and projection designer Finn Ross, it's the Joffrey's first commissioned story ballet and for ambition alone deserves praise. It's heroically danced by the company to a cinematic new score by Ilya Demutsky, with sumptuous costumes flashing against the muted blue of a minimalist set enhanced by a masterful use of lighting and projections—and if the making of a new piece of theater were the manufacture of spectacle, this rendition of the Tolstoy classic would take home prizes for the way it captures the story of its title character's adultery, downfall, and demise in a series of arresting images. To start: a black screen, her name in white. As the overture plays, the scene unfolds with sedulous magic—smoke and steam coil and unfurl, lightening the screen and darkening her name. A man with a lantern appears, tumbling through space, as the architecture of a train station emerges through the condensation of vapor. A small crowd assembles on the platform as the man stumbles onto the tracks. A woman (Victoria Jaiani) stands with her hands over her face, appalled by his lifeless body: Anna. From this impressionistic vision, we enter a domestic interior, delighted by sprightly Kitty (Anais Bueno), whirling in anticipation of her first ball as her pink skirt drifts about her. She rebuffs Levin (Yoshihisa Arai), whose love-struck snatches at her waist are tempered by awkwardness, in favor of the more restrained Vronsky (Alberto Velazquez). The ball begins, looking like the same one the Capulets threw in Verona with a goth tinge to the dress code. Vronsky is swept away by the hypnotic appearance of Anna, whose jet-black dress and aggressively splitting legs leave Kitty's canarylike innocence hovering in the background like the momentary apparition of Odette during the Black Swan pas de deux from Swan Lake. Much of the storytelling is done through such shorthand visual references to other works—Vronsky races his horse at what appears to be Ascot opening day from My Fair Lady, Vronsky and Anna entangle themselves in a duet that surpasses Manon's for overt sexuality, Anna goes on a morphine trip that transforms her into mad Giselle in a locked facility. While citation isn't objectively a flaw, this Anna Karenina proceeds in fits and starts, scenarios stapled together without exposition, anticipation galloping ahead to event before the appetite has been properly whetted. The bones of the plot are there, but not the flesh and blood of it—who are these people, what do they feel, and why should we care? The story is pale without contemplation of these small necessities. There is a breathless instant at the ball when Anna and Vronsky stand in place, as if struck by a hammer and nailed to their fate, but it passes without developing, quick as a frame in a moving picture. The most memorable dances, unfortunately, are the most offensive.